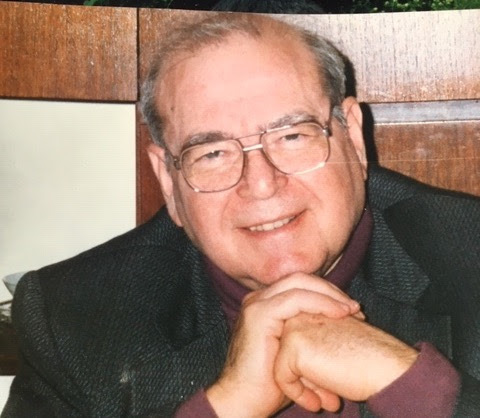 A tribute by Robert F. Scuka, Ph.D.
Bernard Guilbert Guerney, Jr., 89, died Saturday, March 16, 2019, from complications of cancer, under hospice care at home, and surrounded by his loving family. Bernie, as family, friends and colleagues knew him, is survived by his wife of 65 years, Louise Guerney, three adult children, Janis, Bruce and Robert, and three grandchildren, Aaron, Liana and Cole. Dr. Guerney was one of the giants of 20th century psychotherapy. Dr. Guerney was Professor Emeritus of Family Studies and Counseling Psychology at Pennsylvania State University, and has been internationally recognized as one of the most prominent and innovative practitioners of marital and family therapy. His presentations and workshops elicited high praise and great enthusiasm on four continents. Alone or with others he produced over 80 articles and chapters, four books, and numerous manuals, training tapes, and films in the areas of individual, marital, group, and family therapy. He was the recipient of numerous life-time achievement and other awards from the American Association of Marriage and Family Therapy, the American Psychological Association, the Association for Play Therapy, the National Conference on Family Relations, and the Smart Marriages Conference. Bernie, together with his wife, Dr. Louise Guerney, created and developed Filial Family Therapy at a time when play therapy had only recently been in common usage, and at the time represented a radical departure in therapeutic practice. Filial Therapy teaches parents the principles and techniques of Child-Centered Play Therapy so parents can lead therapeutically oriented play sessions with their own children, under the supervision of the therapist. Bernie’s first published article presenting Filial Therapy to the world appeared in 1964. Many in the mental health fields initially scoffed at the idea of involving parents in the therapy process. However, Bernie was prescient, and way ahead of his time. Today, a meta-analysis of all play therapy modalities for which research existed at the time demonstrated that Filial Therapy is the single most effective form of play therapy. If that were Bernie’s only contribution to the field of psychotherapy, his legacy would be secure. Central to both Filial Therapy and RE Therapy is the Rogerian heritage of the fundamental importance of empathy to the success of the therapeutic process. Bernie’s genius, and his signature advance over Carl Rogers’s own practice of therapy, was the insight that empathy need not be limited to a skill used by therapists with clients. Instead, Bernie initiated the further step of explicitly teaching the skill of empathy to clients, out of the further conviction that empathy is both a natural human endowment and a skill that can be developed and refined over time with supervised practice and regular use. Bernie did not stop there either. Another part of his genius was to employ the insights of Learning Theory to develop a set of systematic guidelines and teaching strategies to significantly increase the odds that people would be able to learn and implement a whole range of relationship skills, including most importantly the skill of empathy. Over two dozen research studies have validated the effectiveness of RE therapy, including two studies which demonstrated that clients continued to make additional gains from post-test to follow-up, which is a fairly rare outcome in psychotherapy research. RE Therapy remains unique amongst various other therapy models by incorporating a systematic skills training approach as an intrinsic part of the couples and family therapy process. Yet another of Bernie’s innovative, and ahead of his time contributions was his book Psychotherapeutic Agents: New Roles for Nonprofessionals, Parents and Teachers (1969), in which Bernie systematically laid out his vision and methods for involving non-mental health professionals in the delivery of skills-based educational programs. Bernie, along with others at the time, recognized there was no conceivable way that mental health professionals could meet all the mental health, relationship and systems needs of the American population. Bernie set out to meet those needs by advocating and explaining how more of the nation’s needs could be met by training and supervising lay educators who could reach larger groups of people. Bernie then implemented that approach himself with the Relationship Enhancement Program version of the RE model, where lay educators were trained and supervised to teach the RE skills in educational group settings. All told, Bernie’s contributions to psychology and the practice of psychotherapy represented a significant shift away from the traditional medical model that dominated the mental health professions in order to incorporate more of an educational approach to the practice of psychotherapy. For some 25 years Bernie taught psychology, Filial Therapy, Relationship Enhancement Therapy and the RE Program at Pennsylvania State University. He also led training workshops around the country and around the world. He was an esteemed teacher and mentor for many professors, researchers, teachers and clinicians over his forty-year career. Bernie founded the National Institute of Relationship Enhancement® in Bethesda, MD to continue the advancement of his innovative therapeutic methods. Today, Guerney methods are widely used around the world in the United Kingdom, Australia, New Zealand, Korea, Taiwan, Turkey and, most prominently, in France through IFRE, the Institut Francophone de Relationship Enhancement, which itself has trained dozens of clinicians in that country. A tribute to Bernie cannot end here. Bernie as a human being was one of the most empathetic, kind, generous and appreciative persons I have ever known. And he always had a warm smile to greet you. At the core Bernie modeled what he taught. Countless hundreds, probably thousands, of people have been blessed by Bernie’s presence, wisdom and dedication as a spouse, parent and grandparent, teacher and mentor. To have met and known Bernie is to have been touched by him. On a personal note, I have been incredibly fortunate, and will be forever indebted, to Bernie, with whom I have had the good fortune to be associated with personally and professionally for the past 25 years. As a new, second career mental health professional, I was introduced to Relationship Enhancement Therapy, Child-Centered Play Therapy and Filial Therapy virtually from the beginning, and those methods have shaped everything I do as a teacher and clinician. I have learned and use other therapy models, but RE Therapy is the bedrock and foundation that orients me in all my work. I also cannot thank Bernie enough for having confidence in me to carry on his work. Today, I am committed to preserving and furthering his legacy, because the world still needs and will continue to benefit from Bernie’s multi-faceted contributions. Bernie, may you rest in peace.